I don’t think a lot of video games are set in Iowa. Our game under development, Aztech, begins in Iowa. We didn’t pick Iowa for any specific reason. We just wanted a state that was rural and far away from central America. Very early in the game, our heroes are pulled through time and space to land in the Mayan empire near the area that is now Honduras. Since the game entails them trying to get back home, beginning them farther away, say, in Iowa, gives us room to make more levels. We wanted them to go forward in time and space as they progress through the game, and since it is a LONG time back to the Mayan empire, we needed a long distance for them to get back home as well. 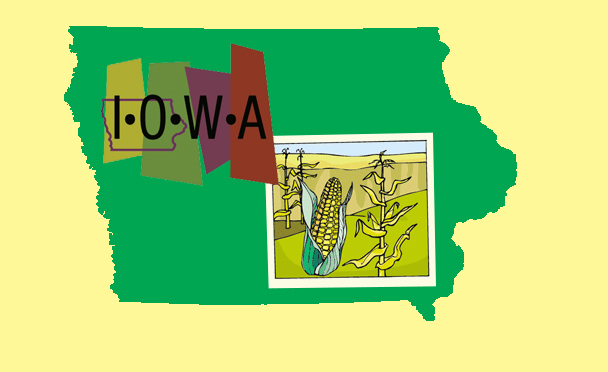 I’m working on one of the educational resources where Iowa makes a cameo appearance – computing how far it is from Copán Ruinas, Honduras to where you live in Iowa if it took Grandma 2.5 days to get there and she drives 50 miles per hour, no matter what. Next, I’m going back to a game where students answer math problems to take them back to Iowa for the afternoon, so they can see their house, their dog, the chickens, before being spirited off to the past again. I’d better get back to working on this game if I’m going to make that happen. In the meantime, here’s to you, Iowa.